Cosmetic dentistry consists of various professional procedures that concentrate on enhancing the aesthetics of teeth. Some of these techniques also provide restorative benefits such as fixing dental problems. Teeth whitening is the most popular, least expensive and most straightforward of all the cosmetic dentistry procedures. 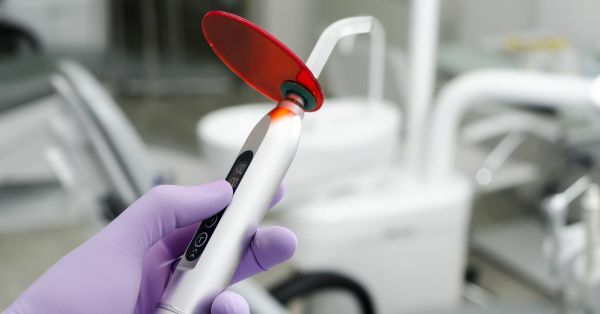 As the name implies, teeth whitening techniques correct the discoloration in teeth. In the teeth whitening procedure, teeth are thoroughly cleaned to eliminate plaque, tartar and food debris from the tooth's crevices. Depending on the quantity of discoloration, cosmetic dentists also use bleaching agents for teeth whitening. Dental veneers are thin, custom-made shells crafted from dental porcelain or composite that cover the front teeth. These ultra-thin shells cover the visible flaws associated with size, color, shape or length of the teeth. The thin veneer is fixed to the tooth with the assistance of cementing material. Dental veneers last for an estimated 20 years without staining, and they blend seamlessly with the other teeth. Bonding is using a putty-like resin substance that is applied to cracked, discolored, misshapen or chipped teeth. It is created to look exactly like the natural teeth. Dental bonding is a painless treatment that is completed within 30 to 60 minutes but lasts for 10 years with good care. The tooth enamel-like resin is put on the damaged tooth, hardened with an ultraviolet or laser light and shaped and polished to match the other teeth. A dental crown is a cap-like structure placed over a damaged tooth. Dental crowns cover teeth that are decayed, damaged, severely discolored, misshapen, cracked or chipped. They restore the size, shape, strength and appearance of the teeth. Dental crowns are made of dental porcelain, ceramic, composite or porcelain fused to metal. With appropriate care, they tend to last for approximately 30 years. To learn more about these cosmetic dentistry procedures or which method would be the best for your dental issues, schedule an appointment with a dental clinic. Most people will manage to get through life just fine without having the entire world pick apart or judge their smiling mugs in photographs, but celebrities bank on it (literally). That doesn't mean cosmetic dentistry is something reserved only for celebrities. It doesn't matter if you're a fireman, astronaut, teacher, stock trader, landscaper or hairdresser; cosmetic dentistry can erase years off your smile. Are you considering cosmetic dentistry in the Bellevue area? Get more cosmetic dentistry information at https://artisandentalbellevue.com. « How Safe Are Dental Implants?